Written by Pu. Sadguru Madhavdasji Swami, Harikrishna Lilamrut Sagar is a text of 895 pages, broken down into a total of 150 chapters. Each one of these chapters describe a unique 'Charitra' of Maharaj. Pu. Swami’s intention was to vividly describe what he had witnessed firsthand during his time with Maharaj. By reading this text, the reader is bound to experience a strong sense of love and devotion for Maharaj, which was the intent of Pu. 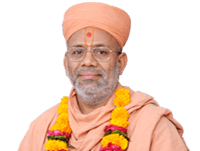 Swami. 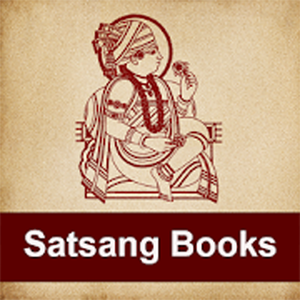 By devotedly reading the stories enumerated in this scripture, the reader will cultivate a strong faith in Maharaj and the Swaminarayan religion. 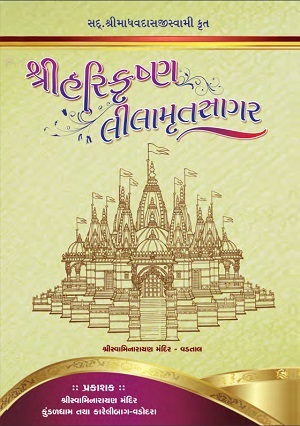 This particular version of the text was published by Shree Swaminarayan Temple - Kundaldham, and Karelibaug, Vadodara in November, 2012. This book is available in several temples, and will surely benedict those who read it.